The Western Balkans have a lot going for them: ideal location next to the world’s largest economic bloc, a well-educated workforce, relatively low wages and decent infrastructure . FDI and investors should be rushing in … but are they? Southeast Europe is the next frontier of EU expansion and includes six countries: Albania, Bosnia & Herzegovina, Kosovo, Macedonia, Montenegro and Serbia. These countries have a lot in common and an equal amount of differences. They are all relatively small open economies, with a growth strategy premised on deeper international integration. Some, especially Macedonia, are more advanced in attracting international investors but as a whole, the region seems to be stuck in a classical Middle Income Trap : they are too rich to compete on low-cost manufacturing but are too poor to be global innovators. After a strong recovery following war and conflicts in the 1990s, the growth momentum has stalled over the last five years and the region has been particularly vulnerable to external shocks. In order to exit from the trap, the greatest challenge is to boost –currently lackluster- export competitiveness. The combined exports of the region barely exceed Euro 30 billion. This is what some companies, like VW, produce in less than two months. Even though these are small countries with large immediate neighbors, exports only account for 40% of GDP. Macedonia is the only economy above the pack with exports slightly above 50% of GDP. Some emerging economies, even with a larger domestic market, have an export-to-GDP ratios hovering at 100 percent and the world’s top performer Singapore has an export share of 205 percent! (see figure). There is however a significant exception to such weak export performance. The Western Balkans are very successful at “exporting” talent and skills – not embedded in goods and services but in people. Today, a quarter of the region’s population lives abroad; and the diaspora has a significant impact on these economies via remittances (even though these inflows of cash are not optimally converted into long-term investment). Some of the most well-known migrants are football stars, many of which play in the German Bundesliga or British Premier League (like the Bosnian Dzeko  or Serbian Vidic ). Integrate regionally and globally. Use the proximity to the world largest economic bloc and benefit from the European Union’s “convergence machine”. To do that, make sure trade can flow freely and investors can operate successfully as car manufacturers in Slovakia or Poland can attest. At the same time, look also outside Europe to find inspiration for growth-inducing reforms. New players, especially from Turkey and the Middle East (e.g. Etihad engagement in Air Serbia), are also making inroads and demonstrate the opportunities of European frontier markets. Improve the investment climate. With the exception of Macedonia, the investment climate in South East Europe is among the worst in all of Europe . Even Southern European countries, including Greece are now making headway in cutting red-tape and simplifying the entry and exit of businesses. To become a vibrant economic region, the investment climate in Southeast Europe still requires a lot to be done. For example, it takes more than 21 months to enforce a contract in Serbia and 177 days to get electricity in Albania. The future can be bright for Southeast Europe. 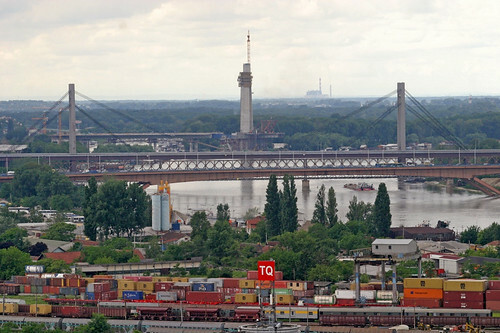 In January 2014, Serbia – the region’s largest economy – has formally started negotiating to enter the EU  (following Montenegro in 2012). The prospect of EU integration is a great motivator for carrying out needed reforms and the dividends in terms of export-driven growth can materialize in the short run given the region’s favorable starting point.